We have (a) new Pope! Greg Pope-Fanboy. The Pope of Power Pop is back! I'm speaking of course of Greg Pope, one of the genre's best and most prolific artists of the last decade-plus, be it in Edmund's Crown or as a solo artist (Popmonster was my #1 album of 2008). And for those who remember Edmund's Crown, you might be interested in knowing drummer David Sprouse joined Pope on the most of the tracks here, and the opener "New Beginning" wouldn't have sounded out of place on their last release, Regrets of a Company Man. Pope also takes a page from Jeff Tweedy, involving his sons in the album as 17-year-old Asher Pope co-wrote "Pretend it's Yesterday" (a lovely acoustic ballad) and plays acoustic guitar on several tracks, while 15-year-old Noah plays drums on "How it Ends". Meanwhile, quality numbers like the title track (which speaks to us obsessives of all stripes) and "Greater Threat" will end up on that best of Greg Pope playlist you'll undoubtedly compile someday soon. 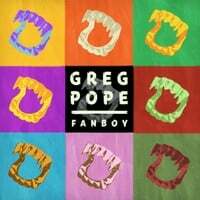 When it comes to Greg Pope, I can't help but be a bit of a "fanboy" myself here, and at his site he's offering up a 23-track deluxe edition of the album that includes acoustic work tapes, demos and the like of the main tracks. 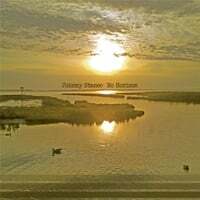 Johnny Stanec-No Horizon. Speaking of prolific, Johnny Stanec seems determined to stay on your music player of choice, with his third solo disc out now hot on the heels of last fall's First in Space album. When solo, Stanec trades in the Replacements-style rock of his band for more of a singer-songwriter vibe in the vein of Jesse Malin or Ryan Adams. "Let it Slip Away" starts off slowly and acoustically, and then builds into a full-band anthem, while "The Trouble With Spies" sounds like a track that could have been heard on the radio in the late-90s heyday of the likes of Semisonic and Third Eye Blind. The standout for me, though, is the folk-rockish "Winter's Song", which recalls peak-era Blue Rodeo. A solid effort.